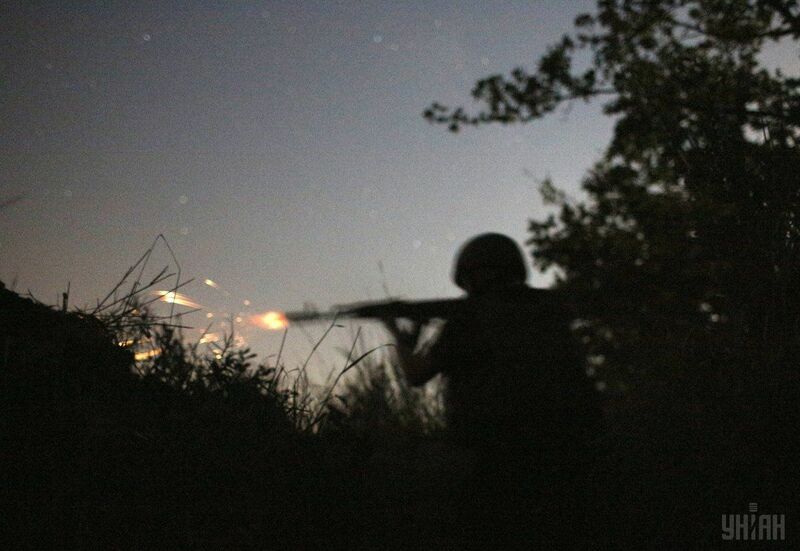 Combined Russian-separatist forces attacked Ukrainian army positions in eastern Ukraine 73 times in the past 24 hours, according to the press center of the Anti-Terrorist Operation (ATO) Headquarters. Most of enemy attacks – 38 instances – were recorded in the Donetsk sector. The enemy fired banned 152mm artillery systems on the Ukrainian positions in the villages of Troyitske and Semyhiria, as well as 122mm artillery systems on the villages of Luhanske and Leninske. In the area of Toretsk – Avdiyivka, the militants fired mortars, grenade launchers of various systems, heavy machine guns and small arms during the day. They fired from infantry fighting vehicles in the villages of Novoselivka, Novhorodske, Verkhniotoretske and Luhanske, as well as tank shells near Troyitske. Read alsoBorder guards report 100 militant attacks on their positions in 2016In the Mariupol sector, the Ukrainian army recorded 23 cases of enemy fire. In particular, the Russian-backed troops fired 122mm howitzer artillery on the Ukrainian fortified positions in the village of Myrne. The towns of Maryinka and Krasnohorivka, and the village of Pavlopil came under fire from mortars and grenade launchers. The occupiers fired grenade launchers and heavy machine guns on the Ukrainian positions in the villages of Novotroyitske and Shyrokyne. The enemy also used armored vehicles near Shyrokyne, Maryinka and the village of Talakivka. An enemy sabotage and reconnaissance group was repelled in the village of Bohdanivka. A sniper was active near Novotroyitske. In Luhansk sector, Russia's hybrid military force fired 122mm artillery systems on the villages of Novozvanivka and Kalynove-Popasne. The enemy also fired 120mm mortars and automatic mounted grenade launchers on the Ukrainian positions in the town of Zolote. The militants opened grenade fire near the villages of Novo-Oleksandrivka, Novotroyitske, Krymske and the towns of Popasna and Zolote. In the village of Stanytsia Luhanska, the enemy continued armed provocations with the use of rocket-propelled grenades of various systems and heavy machine guns, as well as small arms in Novozvanivka. The enemy once again intensified aerial reconnaissance. The Ukrainian army recorded seven flights of militant UAVs over the positions of the Ukrainian military in the last day.